A church is exempt from federal taxation for most purposes — if it qualifies as a nonprofit organization under IRS rules. In addition, donors will be able to write off contributions to the church on their individual income tax returns. 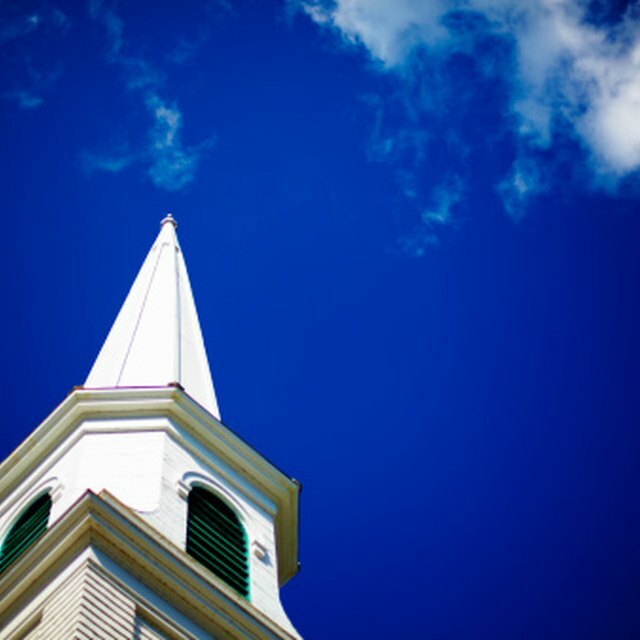 A church can still be taxed on income derived from activities not related to its nonprofit purpose and must file tax returns with the IRS under certain circumstances. To receive church tax benefits, a church must qualify as a 501(c)(3) nonprofit organization. If it also qualifies as a church under IRS rules, it need not petition the IRS for recognition as a nonprofit organization or wait for approval. The IRS has set 14 criteria that a church must meet to qualify for tax benefits. These include a particular creed, an ecclesiastical government, a code of doctrine, an established place of worship and a regular congregation, among others. Tax-exempt status encourages people to donate money to churches by providing donors with tax benefits. Donors to churches are entitled to deduct amounts of up to 50 percent of their adjusted gross income. Since this lowers taxable income, it can also drop the donor into a lower tax bracket, resulting in a net tax savings if the donor carefully plans the amount and timing of donations. Although churches are required to provide donors with written acknowledgements of donations worth $250 or more (as of January 2011), they need not file tax returns for donations as long as the donations are used for religious purposes. Some income-producing church activity is taxable. Whether income is taxable or not depends on its relationship to the church's tax-exempt purpose. If a church earns money selling religious literature, this income is not taxable even though the money was not donated. If a church earns money by holding a bake sale, however, the IRS might question whether a bake sale is sufficiently related to religious activity, even if the proceeds were used for religious purposes. If a church earns more than $1,000 in income from unrelated activity during the tax year, it must file Form 990-T and pay tax on the amount in excess of $1,000 (as of January 2011). If a church hires employees, it must deduct Medicare and Social Security taxes from employee paychecks. Two exceptions apply: churches need not deduct Medicare or Social Security from the paychecks of ordained ministers, and churches who object to withholding Medicare and Social Security taxes for religious reasons by be exempted by filing Form 8274. Churches must issue Form W-2 to employees and Form 1099 MISC to independent contractors so that they can file their individual tax returns. They must also file Form 1096 with the IRS.